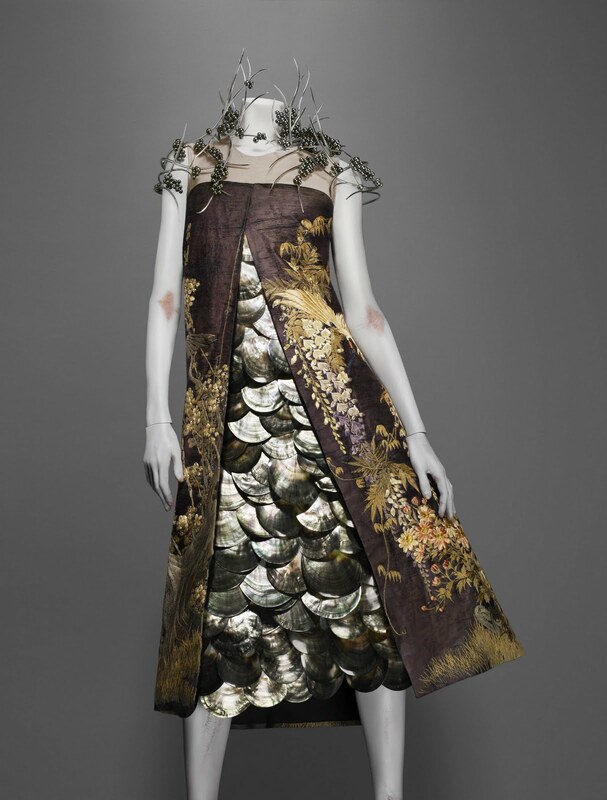 Since opening on May 4, Alexander McQueen: Savage Beauty, now showing at The Metropolitan Museum of Art, has already drawn more than 180,000 visitors, which is stunning. On May 4 the exhibit gave The Costume Institute its highest attendance of any public opening day of any of its exhibitions. Because of the high demand, the Museum has extended the show by one week, to August 7, 2011. It is also introducing Met Mondays with McQueen, starting June 6. Visitors can purchase tickets for special viewings on Mondays when the Museum is closed to the public. Monday access will be available from 9:30AM to 2:30PM. The special viewing rate is $50 per person, with entries to the exhibit on the half hour, and will include an Audio Guide to the exhibition. Tickets will be available in early June, on-site at the Met, or at the Museum's website. Please note Met Mondays with McQueen will not be offered on Monday, July 4, because it is a Met Holiday Monday, one of the Monday holidays when the Museum's galleries are open to the public. 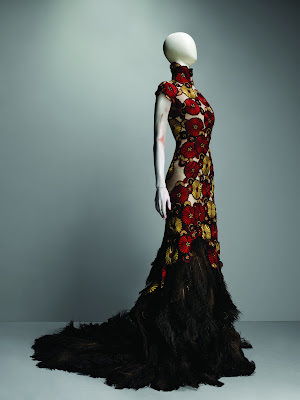 If you want a more unique experience in seeing this exhibit I highly recommend stepping up in price for the Met Mondays with McQueen. I'm sure the rest of the Museum's galleries will be closed, as they were for the press preview, but that means the Museum will be less crowded and you will be with other fashion fanatics, which will make it more fun. Trust me when I tell you that you won't need to see anything else after coming out of this exhibition. It is that stunning. Also, skip the Audio Guide, or at least take it off in each gallery. The sounds and music are part of the exhibit and you need to hear them since they layer the experience, and help achieve the "Gothic fairy tale" Curator Andrew Bolton intended. If you want to visit the exhibition during regular hours, the Met recommends arriving in the mornings or on weekdays. Museum members are given express entry into the exhibit, allowing them to skip any lines. I wish I could do just that!! !, still we cannot be everywhere...One day!!! How I wish, wish, WISH I lived in NYC and could go on one of these Mondays! You make it sound like a most rewarding experience. Since I so wish I was in New York, and cannot be right now, I really appreciate your pictures and reporting on the exhibits...the two looks you have here are fabulous!! How I want to see this exhibit. There is just so much going on in my life at the moment, I don't know if I can get to it! But you have tempted me beyond belief with your invitations and this post. What a work of art that dress is, no? And the feathery stuff on the shoulders..just gorgeous. True artistry. Hi Sacramento, I just hope that when you next come to NYC we can get together! Hi Catherine, the reports are unbelievable about the crowds that are going to see this exhibit. I wanted to see it again but now I'm wondering if that's going to be possible! Hi Pam, I'm glad you've liked the posts I've done on McQueen. The Met has posted little videos that take you through the exhibit, a nice crowd-and- travel-free way to see it up close! Hi Vahni, I totally hear you about being swamped. I hope you post pictures of your Vegas trip, a place I haven't been to in SO long. The offer will always stand for a drink at the Met or a swanky bar in NYC whenever you come for a visit. Hi Paula, I want to go back to the McQueen exhibit just to see both of these dresses a second time. I thought of you yesterday when I was in the city. The windows around 57th Street weren't so great, surprisingly; I hope they will get a little more creative over summer. Man I wish I could see this exhibit.